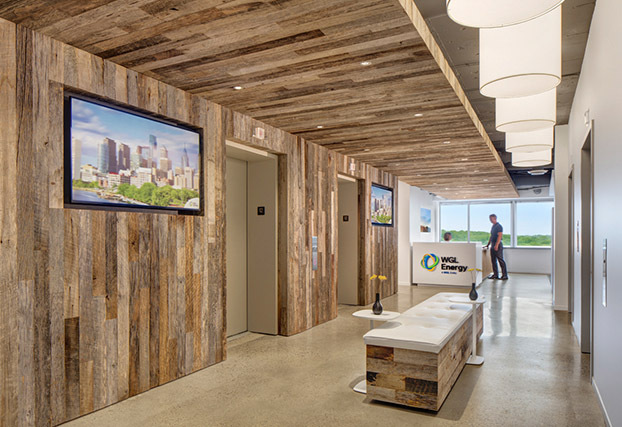 Pioneer Millworks, a leader in reclaimed and sustainable wood. To date, we’ve rescued 29 million board feet of wood from rot and landfills, giving it new life as flooring, paneling, siding, and more. 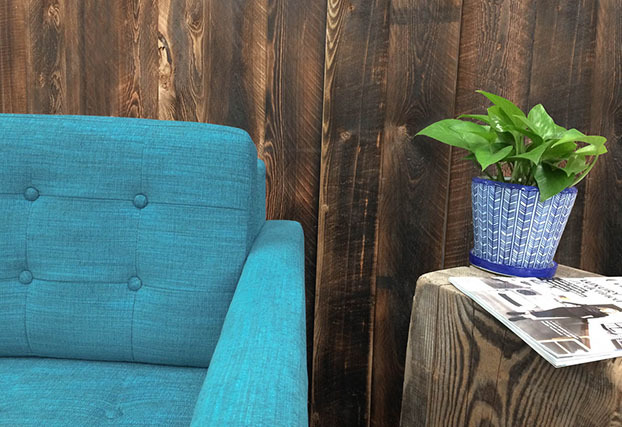 For 30 years we’ve been developing reclaimed and sustainable wood products for the design and build community; options that are easy for builders to install; options that have a story everyone can connect with; options that are good for people and planet. We have mills/showrooms New York and Oregon.You can also view our products in Los Angeles at the Hospitalilty! Showroom in LA Mart. 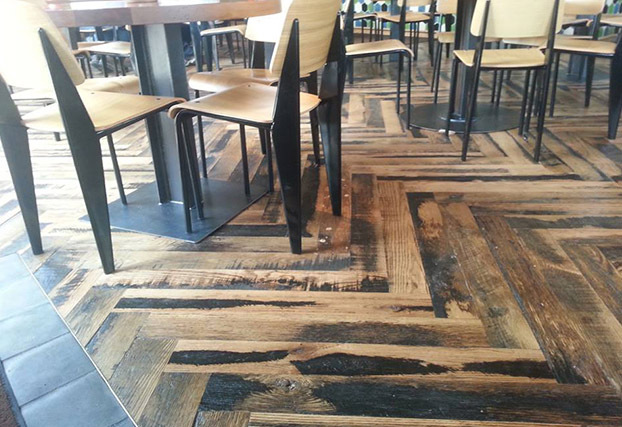 American Gothic Reclaimed Hickory with a water-based poly finish–flooring and paneling. 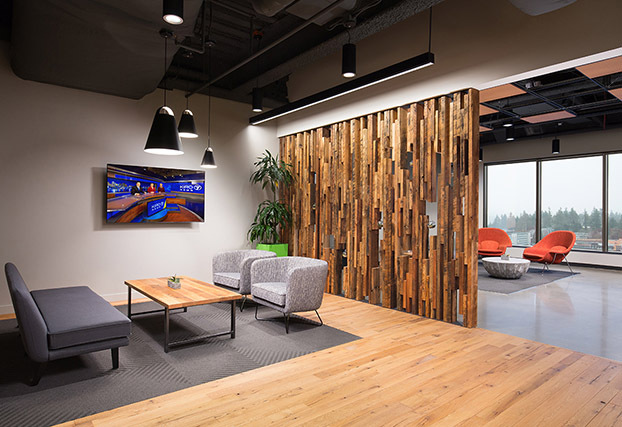 Reclaimed Douglas fir joists with original surfaces form a slat wall. Black & Tan 50/50 Reclaimed Oak in a herringbone pattern. 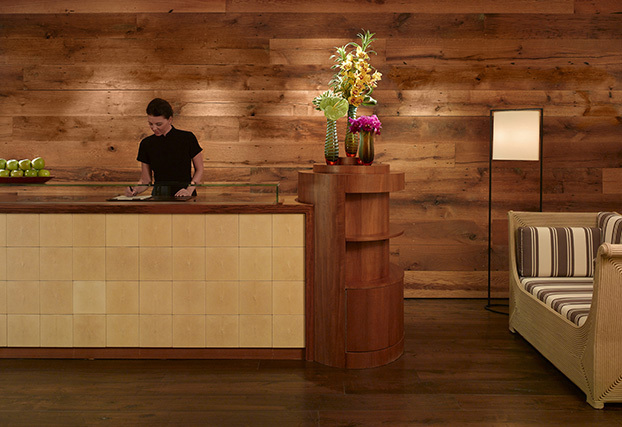 American Gothic Reclaimed Oak wall paneling in a Chicago spa. American Gothic Reclaimed Walnut flows throughout a private lake home. 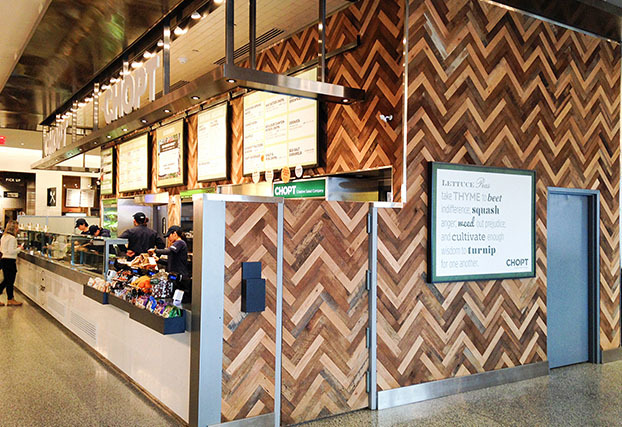 Settlers’ Plank Reclaimed Mixed Hardwoods herringbone wall paneling celebrates texture and tones. 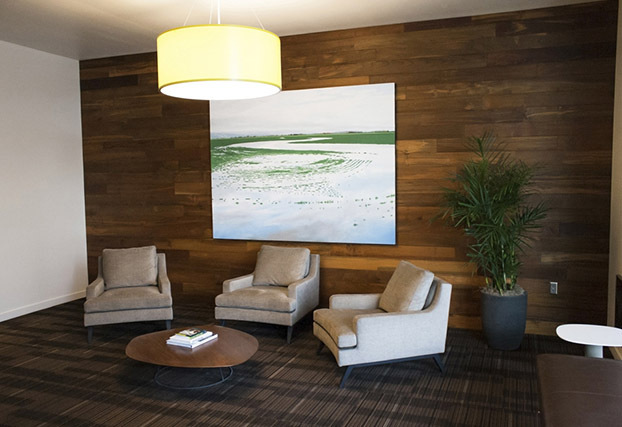 Reclaimed Teak smooth/bright adorns the wall of a Portland business waiting area. Shou Sugi Ban Shallow Char is circle-sawn achieving a lightly toasted look. 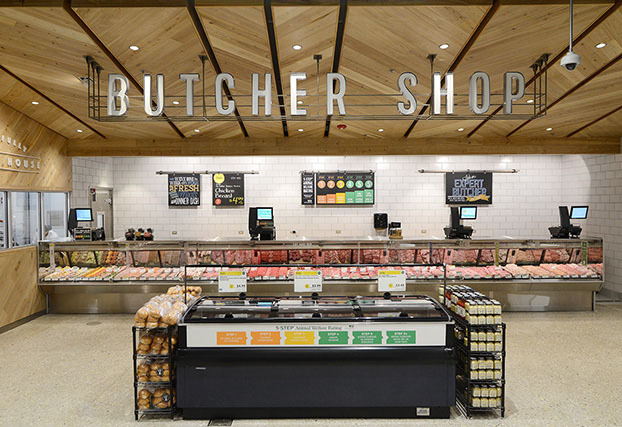 Pre-panelized American Gothic Reclaimed Ash elevates spaces in a large grocery. Custom Grey finish on American Gothic Ash in a Scandinavian Farmhouse project. 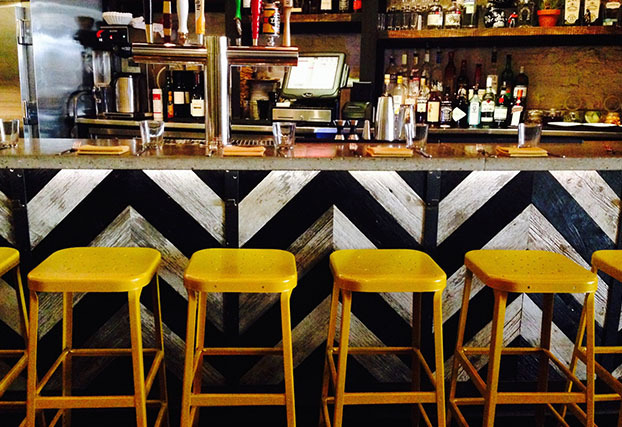 Textured by time, American Prairie Weathered Grey paneling for indoor/outdoor applications. Custom in-house finishing to achieve the exact tone/color to fulfill your vision. 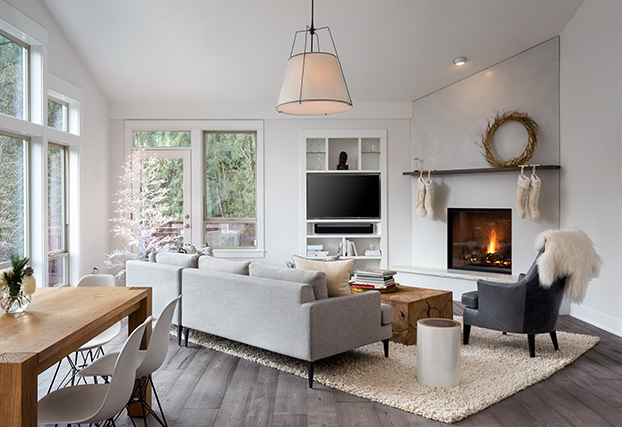 Wood products including: reclaimed and sustainable wood paneling, flooring, board stock, doors, furniture, cabinetry, fixtures, and more in numerous species and grades. Custom finishing including texturizing and surface protectants such as: hardwax oil, poly, fire retardant, and aluminum oxide, are available. 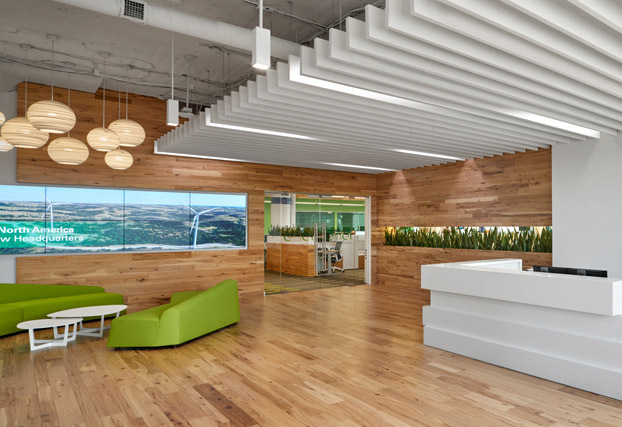 Nearly all of our reclaimed and sustainably harvested wood products are FSC-certified with most LEED point eligible. 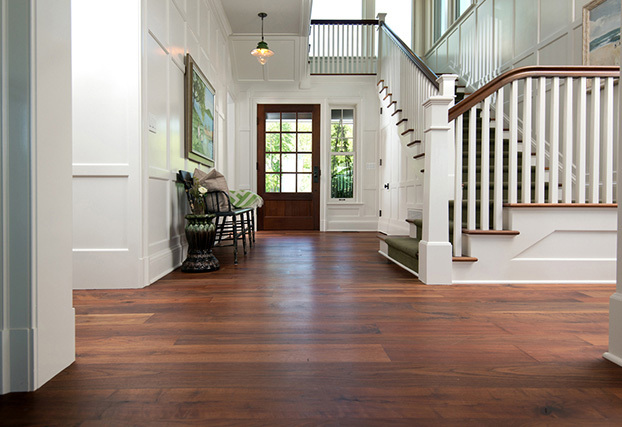 Our engineered wood flooring/paneling is CARB2 compliant. Our pre-finishing options are no/low VOC. We do well when we do good: based on a simple belief that people, planet, and profit work to ensure a better future, Pioneer Millworks operates on the triple bottom line. We strive to keep our carbon footprint small; our roofs house 100kW solar arrays and our wood scraps keep us warm. One percent of our reclaimed teak sales are donated to conservation causes on the island of Borneo. Our American Prairie sales support domestic barn and historic preservation.